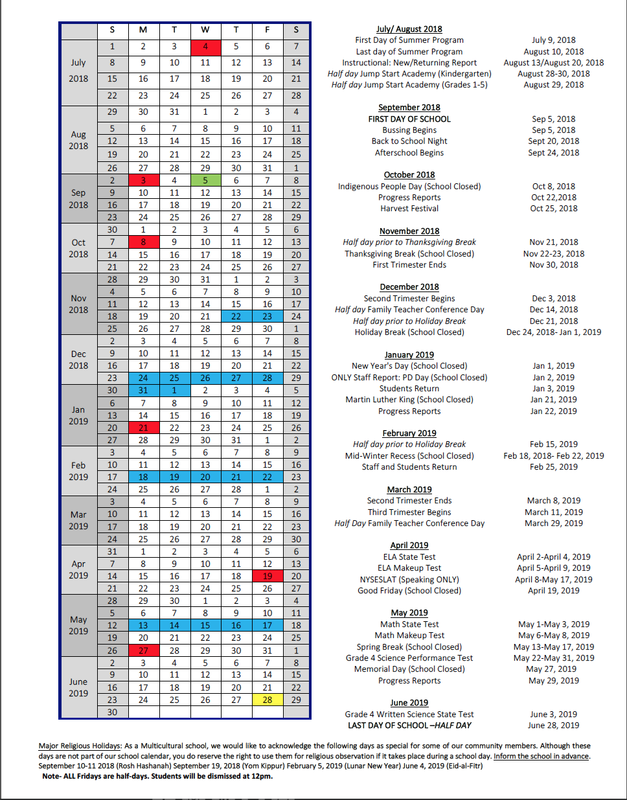 Please see below for the official calendar as we ready for the 2018-2019 school year! It is very important that families plan their vacations and trips around the school calendar. We need all the students to be present in school from the first day of school on Sept 5th, 2018. We want to start the year strong by creating fundamental expectations for the new school year and to start developing our students socially with the rest of the school community. We are very excited for the upcoming new school year! Save the date: Summer Picnic for New and Returning Families on August 30th, right at the end of Jump Start Academy. More details to come soon. 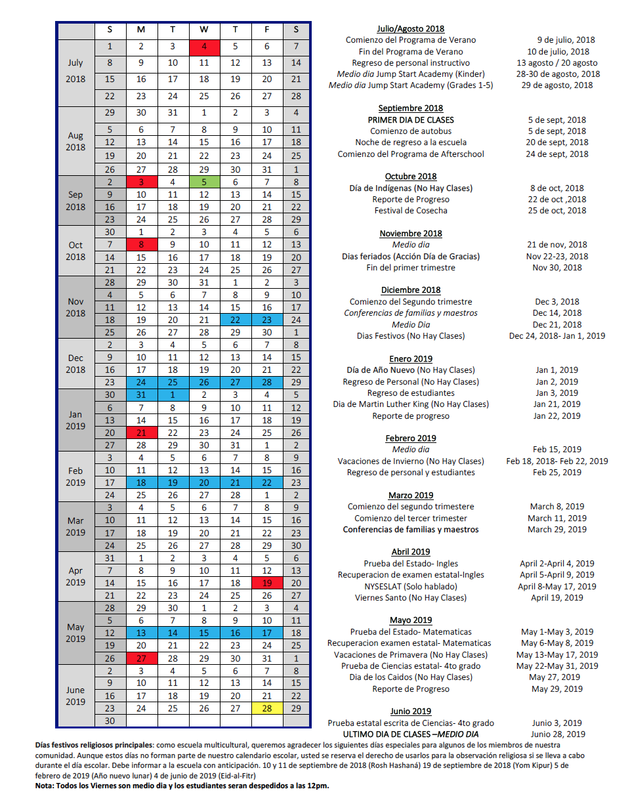 ¡Por favor vea abajo el calendario oficial para el año escolar 2018-2019! Es muy importante que las familias planifiquen sus vacaciones y viajes alrededor del calendario escolar. Necesitamos que todos los estudiantes estén presentes en la escuela desde el primer día de clases el 5 de septiembre de 2018. Queremos comenzar el año con fuerza, creando expectativas fundamentales para el nuevo año escolar y comenzando a desarrollar socialmente a nuestros estudiantes con el resto del comunidad escolar. ¡Estamos muy emocionados por el próximo año escolar! Guarde la fecha: Picnic de Verano para Familias Nuevas y Recurrentes el 30 de agosto, justo al final de Jump Start Academy. Más detalles pronto.